Alright I have a bit of a nerdy confession to make here. I love quotes. I have since high school. I have a word document full of them on my laptop and a notepad entry on my iphone. I have a pinterest board. I have a variety of entries on this blog that serve as an ode to some of my favorites. Because sometimes my words fail me. Sometimes I need someone else to find my words for me. And on this pensive Monday, I found those words in John Steinbeck's 1958 letter to his love struck son. 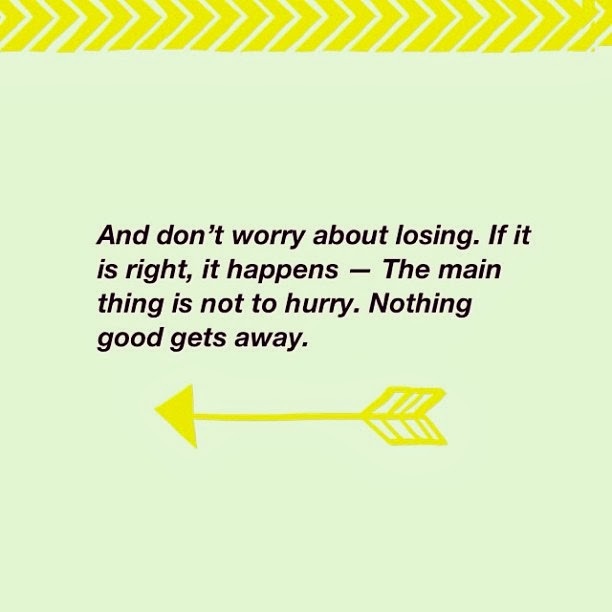 A small reminder to slow down and have a little faith.